GOSHEN — A group of 56 people have filed a lawsuit claiming the demolition of the Johnson Controls plant exposed them and their property to dangerous asbestos particles and that tons of contaminated debris were illegally buried on a farm east of the city. The lawsuit filed Wednesday in Elkhart County Circuit Court by attorney Thomas A. Barnard of Taft Stettinius & Hollister, Indianapolis, names Johnson Controls Inc., which sold the building at 1302 E. Monroe St. in 2007 to TOCON Holdins LLC, as defendants. The defendants have not yet responded in court to the lawsuit. According to the lawsuit, Johnson Controls retained access to the building after the sale and remains responsible for reported chemical contamination of groundwater that occurred at the plant. That pollution is the subject of another ongoing lawsuit by residents in the same neighborhood. First Federal Savings Bank of Huntington holds the mortgage on the property and is also named as a defendant. The lawsuit alleges the owner of the building, Tony Adkins of TOCON, conspired with Richard Swift to tear the building down with heavy equipment without the proper inspections required by law. The demolition started in early 2012 and stopped in March 2014, the lawsuit states. The desire to demolish the building was to make the site more attractive to the Goshen school board, which was considering acquiring the property to construct a softball field, the lawsuit states. “However, before the school would purchase the property, the buildings needed to be demolished, and demolition bids obtained in October 2009 indicated that the cost to properly demolish the buildings and haul away the debris was more than the site was worth,” the lawsuit states. According to the lawsuit, those demolition estimates ranged from $800,000 to $1.5 million. “Therefore, Adkins enlisted the help of Swift, who agreed to tear down the buildings for free as long as he could salvage and sell the scrap,” the lawsuit states. The lawsuit expresses concern that residents near the plant were exposed to asbestos that was pulverized by the heavy machinery in several ways.“The dust and asbestos blew into the plaintiffs’ neighborhood and contaminated their homes and properties,” the complaint states. “Sometimes the dust emanating from the site was so thick that it would leave a heavy film on the plaintiffs’ cars and windows, patio furniture, and inside their homes. After the building was demolished in 2016, piles of debris were left on the property. An inspection found asbestos in the debris and the EPA scrambled to conduct an emergency cleanup of the site. 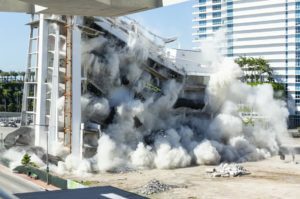 “The defendants in this action, JCI, TOCON Holdings, LLC (“TOCON”), and First Federal Savings Bank (“FFSB”) (collectively, “defendants”), each knew that Swift tore down the buildings without removing all of the asbestos. However, they did not warn the plaintiffs. Instead they directed Swift’s actions and engaged in unlawful conduct, collectively and individually, for their own personal financial gain,” is the allegation by the lawsuit. Indiana law states buildings containing asbestos cannot be demolished without notification of the Indiana Department of Environmental Management and removal of the asbestos material. In addition, such material must be placed in a licensed landfill that is able to accept asbestos, according the lawsuit. 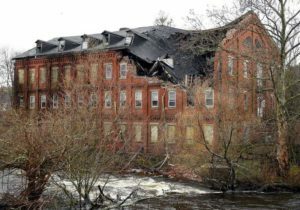 “In response to Mills’ instructions, Swift dumped numerous truckloads of asbestos-containing debris in a ravine on a farm east of Goshen,” the lawsuit claims. “Mills followed Swift and took pictures of him loading the asbestos-containing debris into dump trucks, and taking it to the farm where it was illegally dumped. The lawsuit alleges Mills estimated that Swift dumped and buried about 200 truckloads of debris at the farm. The lawsuit also alleges the bank financed the dumping, which was never finished as piles of debris were left at the site, the same piles the EPA was called in to control. The lawsuit does not ask for any specific monetary damage, but does seek an amount the court would consider fair compensation, punitive damages and legal fees. Roger Schneider can be reached at rschneider@goshennews.com or 574-533-2151, ext. 309. Follow Roger on Facebook and also on Twitter @rschneider_TGN.